The U.S. Census population schedule for Ward 3, Election Precinct for Eufala, Alabama, in 1940. Individuals are identified by name, titles and terms, gender, age, marital status, race, relationship to head of household, birthplace, birth year, the last place of residence, and occupation. A notable resident listed in this record was Lillian J. Luke (b. 1922), who appears on row 10th. Born in Eufala, Luke attended Alabama Polytechnic Institute in Auburn and was a member of Kappa Delta National sorority. In January of 1942, Luke became engaged to Captain Aquilla A. Calhoun, Jr.. Once they were married, Capt. Calhoun enlisted in the 92nd Field Artillery's 2nd Armored Division and the couple moved to Fort Benning, Georgia. His unit was deployed during the Omaha Beach Normandy Invasion in World War II. He played a vital role in the liberation of the northern city of Bresles, France. 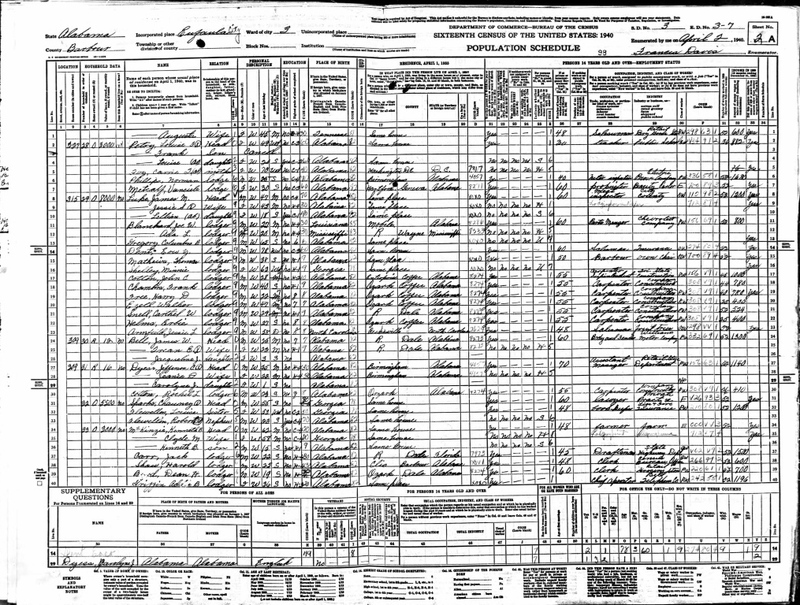 Digital reproduction of original census record by James Davis, April 2, 1940. https://familysearch.org/ark:/61903/1:1:V1LQ-YV7. 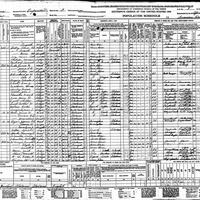 Original census record by James Davis, April 2, 1940: National Archives & Records Administration, Washington, D.C. Originally created by James Davis and published by the Bureau of the Census. Davis, James. “Sixteenth Census Population Schedule for Ward 3, Eufaula, Election Precinct 5, Alabama.” RICHES of Central Florida accessed April 21, 2019, https://richesmi.cah.ucf.edu/omeka/items/show/6918.